The world of media training is something that all people may not dominate fluently, but it’s necessary. Especially in companies where the official spokesperson is not someone sufficiently prepared, which can cause serious damage to the image of the company. The spokesperson must always be direct through the speeches. Normally, it can happen that you start talking in front of an audience without having two words said and everything ends in your head. People tend to go blank when they feel unprepared for something. That is why you must have something previously written that relates to the direct message that you want to transmit. You should avoid any kind of meaningless extensive and boring talks. You need to be precise and clear. If the spokesperson is a trained, confident, and educated person, don’t worry, you are safe. However, it’s necessary to prepare in advance to avoid any nuisance or tricky situations that could put you in the spotlight. In case of an uncomfortable question or reproach that any client or reporter makes, it’s necessary that the spokesperson has the specialty of being able to be in control and give some answer without affecting the image of the company. The tabloid press exists to make people uncomfortable with all the gossiping around. Therefore, the company spokesperson must be sufficiently prepared for any type of comments that different reporters can make. This goes beyond a good speech. It’s necessary to have the ability to answer any question they make without any kind of fear or nervousness, an excellent control of any opinion, and being able to give a strong and safe answer. The main goal is to give some irrefutable, yet informational answers in order for both parties to be happy with the outcome. Remember, less is more. Even in these situations. Sometimes, when the spokespeople become simple readers, it causes certain inconveniences. You lose the spontaneity of the message you want to convey. You have to try to handle that, since you must also have the ability to handle a speech in a natural way, without so much reading. You should be familiar with the product, with the brand, and with the company, so that any question about it can be handled in a relaxed way. Getting good at something isn’t that feasible when you’re just inside your room or your office. You have to go to different events and conferences to learn more about this craft and improve your overall skills. Another big thing about this is the fact that you’ll be connecting with more people within the field. The media training will undoubtedly help you get the best out of that professional who is the face of your company before any necessary public event. Therefore, it’s of great importance that this person has an excellent preparation to handle any type of inconvenience with the reporters. 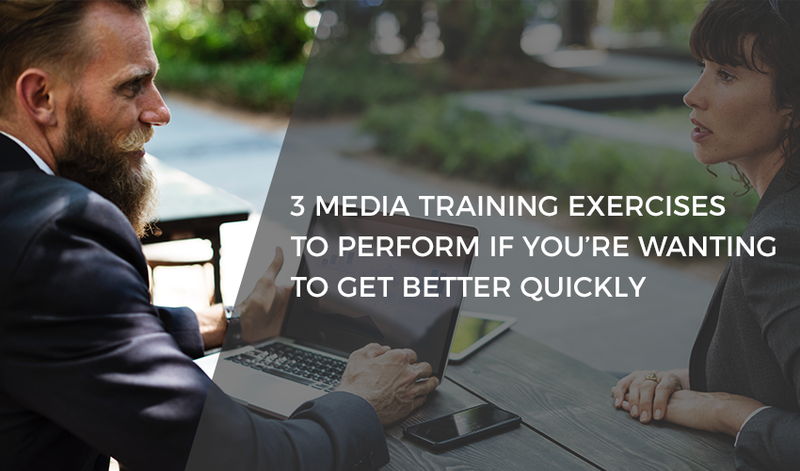 Many CEOs or business executives believe that media training is a waste of time. It’s something that they don’t find useful, so they ignore any possibility of participating in it or taking it. That is a serious mistake, since they are the first people that should learn to handle the press, because they are, in fact, the brain of the company. People in higher positions, have to understand, they should know how to express their ideas, in order to make the company grow, and to make their employees trust in the growing plan. Their statement will be the most important and most sought one in any circumstance. In the media training learning process, one of the coolest things they can offer is the simulation of cases which they submit to prepare you for any apparent possibility. You learn how to work through any situation without damaging your brand. It is fundamental to keep yourself calm and serene when dealing with apparently stressful situations, to be able to have your guard up for any tricky question or outcome. They even ask you hypothetical questions so that you can have more experience for any interview or public event. This is very important. Familiarizing yourself with media training, you will have the advantage of having a broader knowledge to handle the press or handle any type of public event that you see yourself involved in as your company’s image. You can learn techniques on how to respond, how to control the interview, and how to overcome any type of uncomfortable or tricky questions. A lot of people who are not familiar with the media profession don’t even know how to differentiate the types of media that exist and the different impacts that words can have when being said through them. These media training where they can teach you everything about it exist for that very reason, so you can leave a good image of the company and feel more prepared in any interview, public event, or press conference. In the media trainings they prepare you for many things, they provide you with many tools and strategies to apply. But of the most important lesson is how to offer your service or product, how to transmit the benefits you are offering through your speech. Leaving a good impression, you can attract new customers who are interested in what you offer. The handling of the press in a company is something very important, because everything that is said can be used against you and will always be available on the internet for anyone to see. This can affect your brand, both in a good and bad way. So, it’s necessary that you follow this advice and sign up for media training, it will be very helpful. The recruitment of company’s executives to carry out media training is something more difficult than anyone can imagine. That is not true, because no one ever stops learning. And the best of all is that this is something that will bring many benefits to your company. Whether it is big or small, your company, and its people, will appreciate it afterwards. There are times when money or high charges generate pretentious ideas on people’s minds. That isn’t a secret for anybody, but if you want to benefit your company, there are times in which you should leave the pride aside and focus on something that will be productive for you. This is something that will generate great results and will immerse you in the communication world, which will allow you to have greater management of the area. Remember to be focused on the best possible developing of the company, while learning a new skill which will be useful, inside, and outside, the office as well. 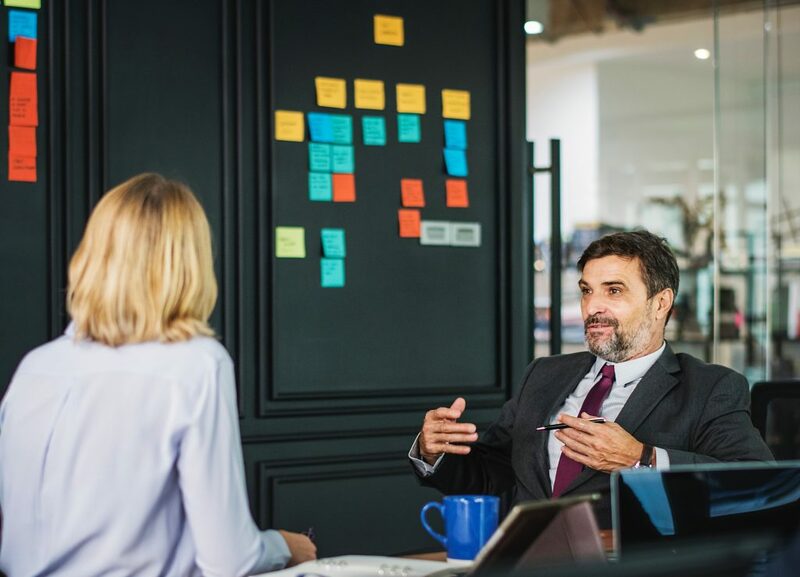 In some cases of training of CEOs or senior executives, there are professionals who have the tactics of taking media training privately, which is, that the professional and the CEO are the only ones in the class. This will ensure that the person is in a more secure area in which can be themselves without any fear of being wrong, while they develop the need to want to learn. Some professionals also have the development of some interviews during the training of media as a learning tool. In order to know more about the person, to become familiar with the type of personality he possesses, and to become familiar with what types of tools they can apply. Depending on how the person behaves, they could develop a way to structure the class so that the person understands faster. This way, even if you plan to go to Miami with a Range Rover, it can be affordable for members of the company. 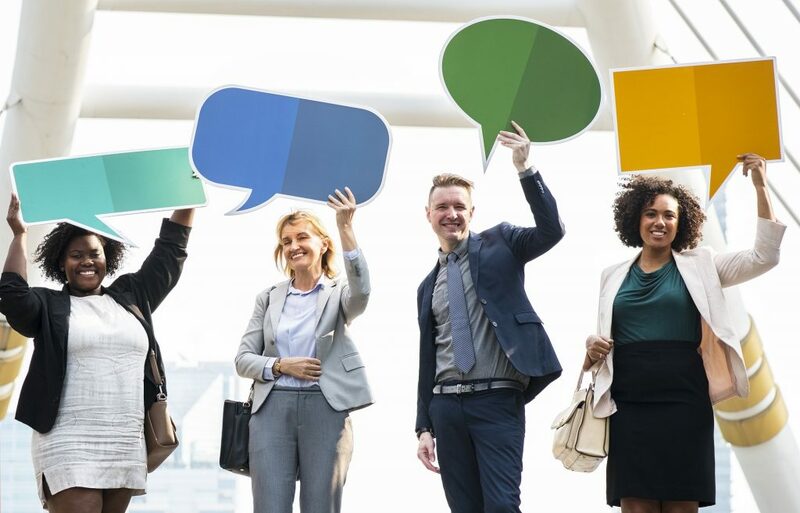 The use of key messages in the business world is about how to reach customers, the product or service they offer, through well-structured key messages that distribute attractive ideas. This is something that the professionals who dictate the media training also teach as a strategy. The improvement on this area is achieved with a lot of practice, maybe at home or in public. You must have a direct interaction with the press or clients to know how to handle any situation that comes your way, know how to reach people, know what to say, and be able to control situations and turn them to your advantage. 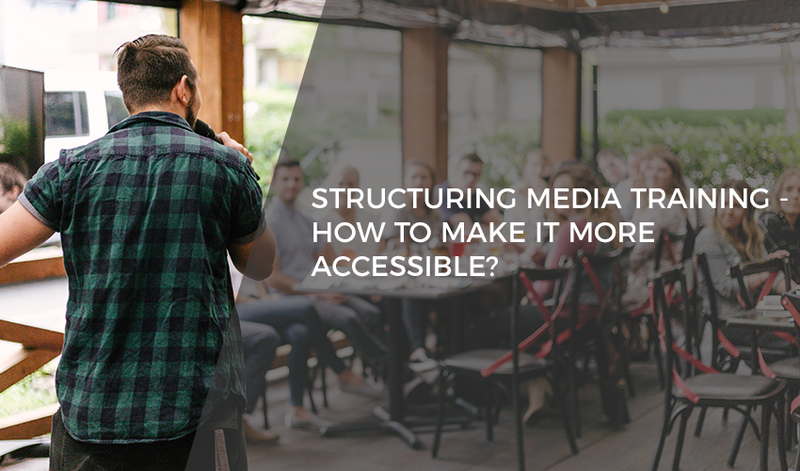 These are some tactics to make media training more accessible. The reality is that nothing is as accessible and easy as some want to make it seem. Everything is achieved by learning, with advice from professionals, and most of all, with a lot of practice. 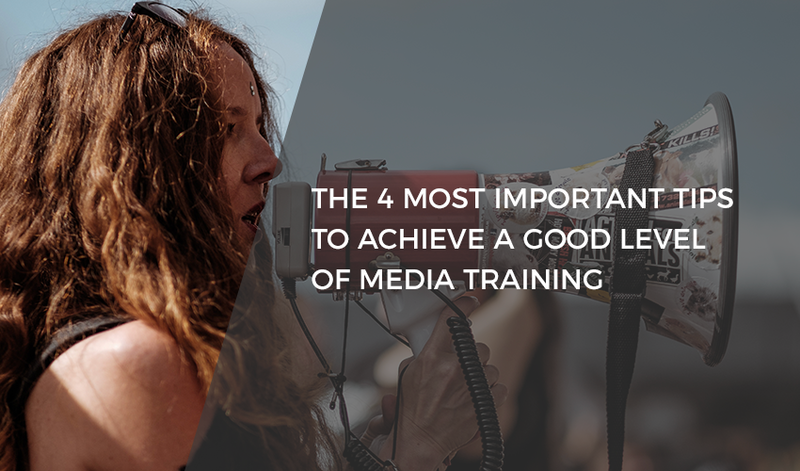 A lot of people don’t know what media training is and what advantages it brings. 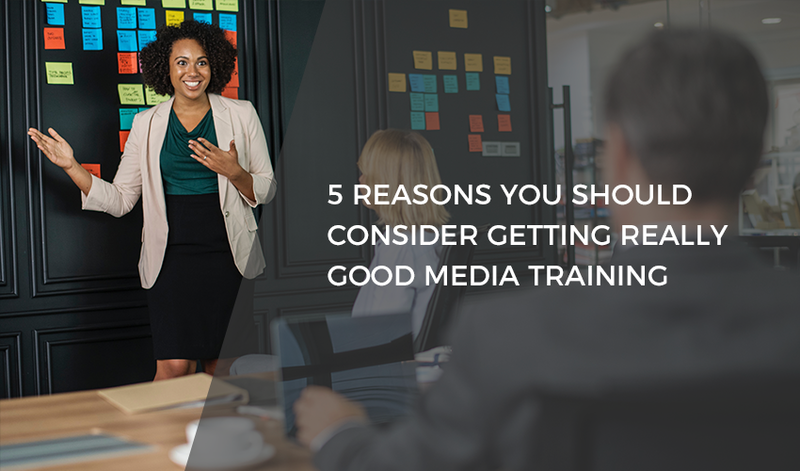 The media training is a preparation or a course that is done for workers, executives of a company, and even CEO’s so they know how to handle any type of media more spontaneously. This brings many benefits. Learning how to handle the media, how to perform in an interview, and even techniques that can be used to have more confidence at the time of speaking in public. This training is done through courses for employees of the company that request it, in order to clarify any doubt, offer strategies, and teach any important tip for the proper management of the media and how to address them. By training the company employees, it will generate a sense of union when giving the same message throughout the entire office’s hierarchy using a clear message. These courses aim to train the employees in this area, which is possibly unknown to them, and thus, have the sufficient tools to speak in public, increase their confidence, know how to handle a speech and even avoid any deception that is perceived from the environment. The main goal is to train a spokesperson, which is a fundamental key in the company’s growing aspect, to be the best when dealing with the public, no matter the place, or the type of gathering it may be. These courses don’t have a specific duration. Each person will have their specialized methodology to impart their knowledge. Usually, the courses can last 1 full day of work or maybe go up to an entire week, in which you will be offered theory lessons and even practices to know how to handle any circumstance in reality. Why Is It Worth Investing In Media Training? By doing this, the company will have more qualified employees in the communication area that will undoubtedly know how to handle any type of situation better after the course. Thus providing advantages for them as improving the image of the company to prevent any crisis and avoid a scandal. Upgrading everyone’s skills up a notch to make them portray a better image of themselves and the company, will be beneficial to everyone. Normally, it’s the professional people specialized in the area of media who handle this type of training. They offer different tools, such as contextualization, which is explaining everything about the media so they can have a better understanding. They also talk about key messages, which are any signals that companies want to transmit. And they also go to practice with simulation cases where they use different workers as an example so they can learn to be at ease in the area. 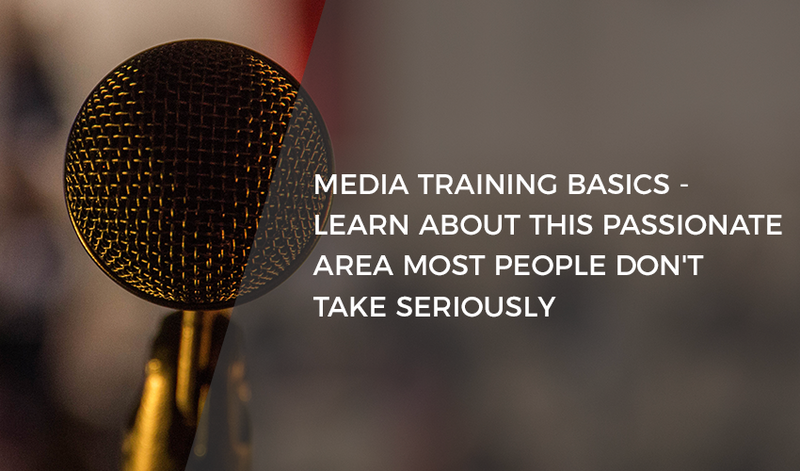 The media training will undoubtedly be of great help to any company. It’s an advantage given that all the staff is sufficiently trained to face any circumstance of being put on the spotlight or handling with customers. Also, it will provide you with a security that will make you feel more confident. Sometimes it’s difficult to handle the press. Not knowing how to handle an audience or not knowing the power that words have are some of the main issues. So, in case the media is a difficult area to handle, it shouldn’t be an impediment. There is media training to fix this issue, and training courses are currently being carried out for employees so they know how to work in this environment. In the media training, you will learn a lot. However, the most important thing is that you can learn how to communicate, how to follow a conversation, how to speak, or how to handle an audience. Knowing how to express yourself assertively should be motivationally enough to want to improve your skills. Relaxation is very important, but there will always be nerves before a presentation or any public event, and that’s normal. However, as a professional, you must learn to control it. Some people get confused by nerves and stress and that prevents them from transmitting what they wanted to say. It’s also important to seem physically relaxed through your expressions, so any tic you might have needs to disappear. The media training can also help you learn how to properly control yourself during any type of interview or public exposure. You have to maintain a position and an impeccable professionalism so that the message is seen from a good perspective. Being in control can even be used as an advantage, you can handle the interview the way you want and you’ll feel more secure. This is important. Sometimes when we try to say something, we extend the message we want to say or we just get confused by talking so much and lose the thread of what we were talking about. When you want to send a message, you have to be precise, and go straight to the point because you’re going to confuse people so much. You need to try not to bore them and keep the interest in the public. To avoid this, it’s important to write, in advance, a list of topics you would be able to develop in a calm manner. You must always be prepared. It doesn’t matter if you think you are smart enough and you have the necessary information in your head. You need to review or study what you’re going to say. Don’t get cocky. We have to be honest with ourselves and know when we are sufficiently prepared to expose ourselves in public to send a message, which can maybe generate doubts and questions from people. So you need to know how to respond with confidence and professionalism. The media training is something that will allow you to reach more people and learn how to behave in a more natural way, in addition to all those reasons that we have named. That is why it’s important because the message that you want to send must be strong, clear, and precise. Media training is something that is not learned just by theories and books. It’s true the tips, tools, and strategies you can use will be of great benefit to you, but perfection is achieved with practice. 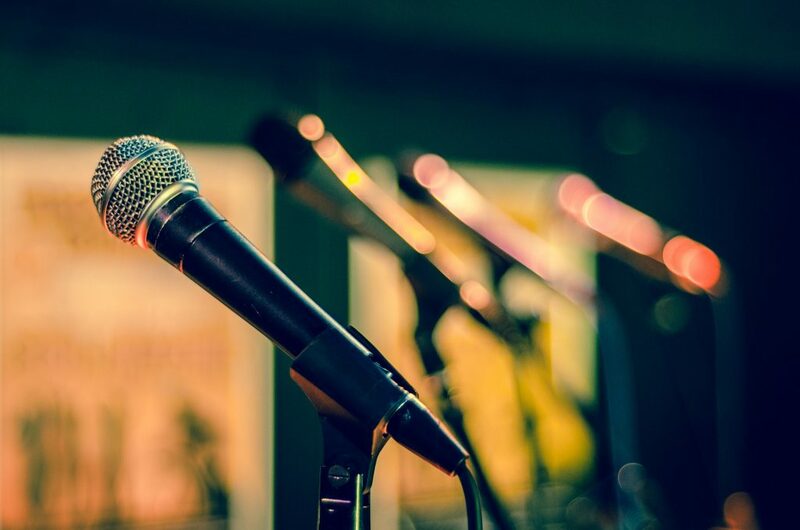 If you don’t practice, unfortunately, you will not know how to handle an interview, press conference, or any event that is a public exposition for you and your company. To learn how to express in a calm and assertive way in front or an audience, whether how big or small this might be, it is crucial, and almost, mandatory, to adopt certain habits to improve your skills set. The interviews are a bit more complicated because they will ask you completely unexpected questions that may catch you off guard. For that reason, you must have a previous preparation on the subject to be discussed as to familiarize yourself with the brand, the product, or service, and the company in general. There are different kinds of interviewers. You may get some more direct and strong coming ones who want to ask uncomfortable or tricky questions. You must prepare for it so that you can completely control the interview and handle it in your own way. On the other hand, there will always be certain interviews where everything seems to be fine, and where you will feel free to talk the way you want and feel at the moment. But maybe they are just testing you and check how fast you can let your guard down in front of your superiors. It’s a professionalism test you should keep in mind. In a debate, you will certainly not know what to expect, because it’s practically a verbal confrontation that you will have with a person who has different thoughts and ideas. Obviously, every planned debate will have its limits and restrictions. From there you can only expect the pure truth. In it, each person will try to defend their position, their ideals. This mostly occurs in the political area, but it can also be possible between entrepreneurs. The speeches are something that should be prepared in advance. What is going to be said, maybe in a press conference or a public event, should be studied and thoroughly thought-out. You should try not to take so long or be tedious because that will bore people, and they will undoubtedly get distracted. You can add a little humor or phrases that catch people’s interest, so they pay attention. Most importantly, you must be precise. You should focus on the specific message you want to say, not something so extensive. In any of these cases, the media training is necessary. This offers different advantages, like the application of strategies, you can also practice the previous strategies you had used, which gives you more advantage. Above all, you will know how to use the necessary tools to be able to transmit your message in a clear and precise way.